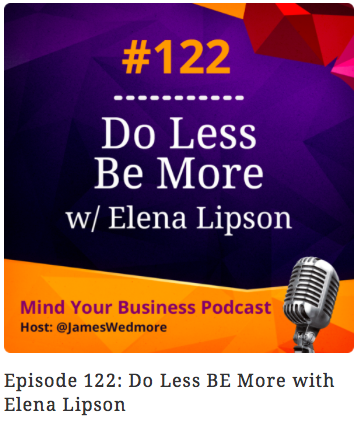 I am so thrilled to share this episode of the Mind Your Business Podcast by James Wedmore. We had an incredible conversation about the power of Self-Care to transform your relationships and your business. My “Magic Morning Practice” that you can do in as little as three minutes a day! CLICK HERE to listen or head over to your iTunes app and search ‘Mind Your Business Podcast’. Make sure to leave a review and let us know what your takeaways are.